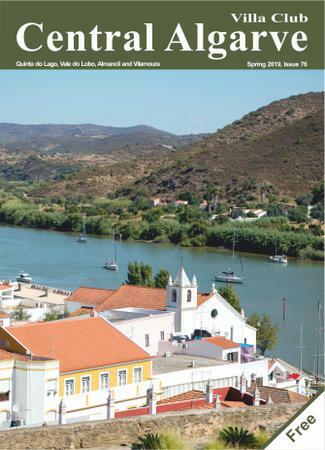 Your FREE guide to local news and events in the Central Algarve region of Portugal. Click image above to view latest editions. Interesting and durable content. We strike the right balance between entertainment and information. We show readers exactly where businesses are located on our large centre-spread map. Rock solid distribution. All our readers are guaranteed to find our magazines freely available in more than 150 distribution points in the Loulé area. The most up to date and comprehensive restaurant listings - indispensable to all visitors and residents. Extremely competitive advertising rates. An advertising budget as little as EUR 240 can include you in 3 separate issues (that's more than 60,000 magazines!! ), distributed during an ENTIRE YEAR period. Advertisers get additional free publicity via: this popular website, free periodic editorials, and direct distribution to thousands of high-spending visitors and property owners via our large well-known property agency, Villas & Vacations. 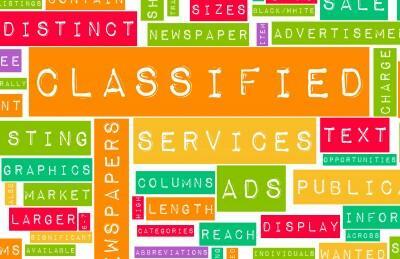 Many would-be advertisers have been frustrated by our lack of a classified section. We only publish 3 magazines per year, so the cycle is too long for the average classified advertisement. However, this website is much better suited to shorter-term advertising, and the best part is that it's now FREE!